Day 7 already? It is going quickly! Anyway, today’s post I thought I would do the things I love about Christmas cause there are many. Honestly, though, Christmas songs are the best thing in the whole world. I wasn’t feeling Christmas last year but these definitely got me in the mood! I have also created my own playlist for this Christmas which you will find out about in Day 10! If you don’t put Wham’s Last Christmas and think you’re in the music video, do you even like Christmas? I love food and especially at Christmas, I love it even more! I cooked my first whole Christmas dinner last year and I was so proud of myself. I don’t think I am doing that this year, which I am sad about but also at the same time, relived! I think Christmas food is the best kind of food. You can’t feel guilt over it! It’s one of those things that you eat that last chocolate in the box or that mince pie because it’s so delicious! I think my favourite food during is Christmas is the dinner, I made sausage stuffing like my nan used to do when we went to Christmas at hers and I think that’s my favourite part of the dinner. I don’t know what is more fun than getting the dusty decorations out, putting a Christmas playlist on and decorating the house with all of the lights, tinsel and ornaments you have. I literally love it every Christmas. It just makes me feel that Christmas is near and that I also have to buy my presents soon. After putting up the decorations, I love putting on a Christmas film and cuddling down on the sofa with a hot drink because I know then, Christmas is nearly upon us. 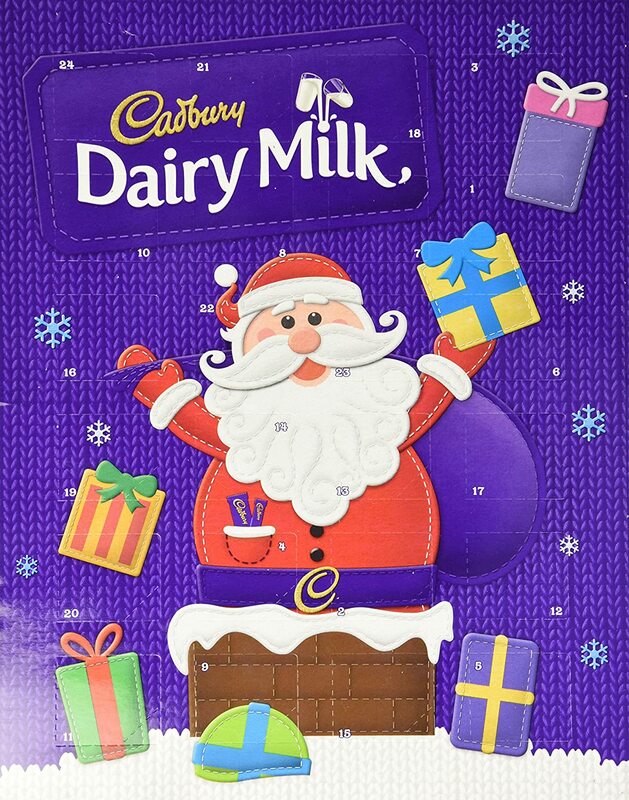 There’s not a better way to countdown to Christmas without an Advent Calendar! I must say when I was younger, I was so eager the chocolate in one go, I would buy another one so I could eat them all when I wanted to. I don’t have them much now I am older, but I still see the hype of the chocolate ones. I think if I were to buy them now, I would probably buy either a beauty one or one that contains beer, wine or cheese. I know, I sound old and I’m only 19! I love this time of year because it’s an excuse to put five layers on, cuddle up in a duvet and watch films. This is going to be my first Christmas with Jack and I’m so excited! He knows I love Christmas and I hope that we can do a lot together including a Christmas Market! I can’t wait to cuddle up on the sofa and watch some Christmas films with a hot chocolate and just be warm and cosy! Now that we have a house, it will be so nice to finally spend Christmas with the best people! If Jack gets me socks for Christmas, I will put them on and curl up with him in them, no matter what we’re doing! I hope you enjoyed this post and if you did, make sure to follow me to get updates on when I post! If you didn’t know, my Blogmas posts are published each day of December at 7pm. Make sure to follow me on Twitter for updates on Christmas!